Casey Barton Behravesh MS, DVM, DrPH, DACVPM is the Director of CDC's One Health Office in the National Center for Emerging and Zoonotic Infectious Diseases. She is a Captain in the United States Public Health Service. Barton Behravesh is a veterinary epidemiologist and has extensive experience investigating outbreaks and conducting epidemiologic research related to foodborne, zoonotic, and vector-borne diseases. 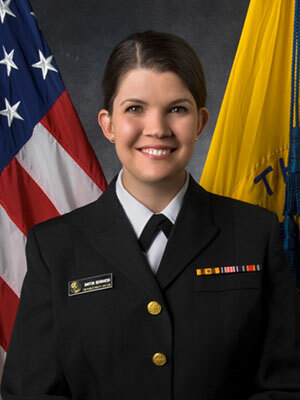 She serves as the CDC focal point for implementing an interdisciplinary One Health approach connecting human, animal, and environmental health to address emerging zoonotic and infectious diseases in order to best protect public health. CAPT Barton Behravesh has extensive experience bridging the gap between human and animal health officials at the local, state, federal, and international level related to emerging zoonotic and infectious diseases. An interdisciplinary approach to infectious disease outbreaks will be described. Animal health impacts on human health will also be discussed. Opportunities for collaboration with animal and human health agencies will be identified. This session will provide an overview of the influence of animal health on human health and a mechanism for collaboration between multiple disciplines to address zoonotic diseases.